Are you tired of losing laptops and other valuable assets? The City of Dallas was. They installed asset management software in a department with 4,500 items and reduced their audit time from three weeks to one day! Asset management software delivers results. Take Highland Brewing Company, for instance. Are you tired of losing laptops and other valuable assets? Do you need to comply with federal regulations or eliminate expensive replacements? Asset management software ensures compliance, controls costs, and saves valuable time in every industry, including municipalities, education institutions, military operations, and manufacturers. A booming business in North Carolina, the brewer watched profits walk out the door after expanding operations to keep up with demand. Paper trails proved ineffective for managing assets such as unreturned kegs, which were costing the brewery $85 each. Stories like this fill the pages of ledgers in every industry, including education where according to Gartner, “Budgets for primary and secondary school (K-12) agencies will remain stagnant or be reduced over the next three years.” The Houston Independent School District knows this better than anyone. They originally turned to asset management software to fulfill requirements for annual audits of fixed assets in each building, but ended up eliminating expensive equipment replacements—in addition to reducing audit times by 75 percent. The nation’s largest U.S. Army post also realized similar results after implementing an asset tracking system to comply with requirements for an end-to-end, verifiable chain-of-custody accountability and traceability for their constantly moving pool of assets. What’s the secret to these organizations’ success? 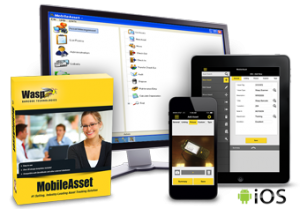 Wasp MobileAsset. Wasp MobileAsset takes the sting out of audits. Wasp MobileAsset gets results. This asset management software cut the City of Dallas’ audit of 4,500 assets down to one day instead of three weeks. When combined with a wireless barcode scanner, a barcode label printer, and asset tags, MobileAsset becomes a complete asset tracking system that ensures top performance and productivity. Another key to the success of these organizations is that they were prepared before shopping for asset management software. To ensure your organization selects the best system for tracking assets, follow these five steps. Identify the issues. Are you plagued by inaccurate records? Are you constantly replacing lost or missing items? Are your audits taking too long? Are you unable to comply with industry regulations? Regardless of the reason, it’s important to identify the primary issues that require resolution. Doing so ensures you aren’t tempted to buy asset tracking systems with features you don’t need. Plus, knowing what problems you’re trying to solve allows you to effectively measure the results after implementing your system. Define all requirements. Consider your organizations’ size, locations, infrastructure, and total number of current and projected assets. Understand the technical requirements for such things as operating systems, wireless communications, and compatibility with existing applications. Determine what hardware is required to support automated asset management. Forecast future needs based on your current business plan. Prepare a detailed budget. Understand the approval process. Who are the decision makers? 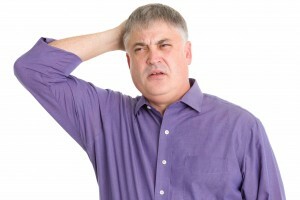 What information do they require to authorize a purchase? What details must be included in the quote? Often employees using or implementing the software system influence the buying decision. To avoid roadblocks, identify who requires what information at which stage of the process. And if possible, prepare a cost benefit analysis showing the projected benefits of using asset management software. Research options. Once you’re armed with foundational information regarding issues, requirements, and approvals, it’s time to begin your search. When researching asset management solutions online, look for successes in organizations like yours. Educate yourself about unfamiliar topics, such as the difference between asset management and inventory control. Look for specific features that align with your exact requirements. Identify any hidden costs. Consult with an advisor. Experienced advisors, like those at System ID, are there to assist you. They will listen to your requirements, take time to answer your questions, and recommend the right system for your specific needs. They will also take you on a personal test drive so you can experience first-hand the benefits of effective asset management. When done, they’ll happily prepare a quote and provide support during the approval and implementation processes. Which asset management software is right for you? As you can see, it all depends on your needs. Dallas’ Department of Intergovernmental Services did their due diligence before deciding on Wasp MobileAsset, which met their requirements for compliance, time, and budget. Is this software a good fit for your organization?